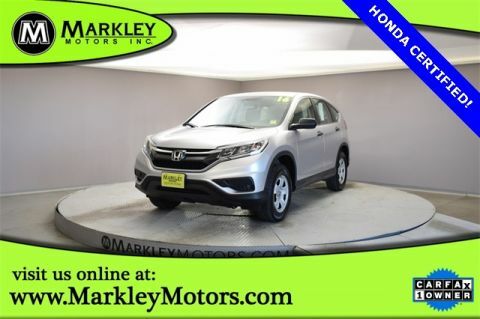 Inject some driving fun into your day with our Certified 2015 Honda CR-V EX-L AWD SUV brought to you in Urban Titanium Metallic! Powered by a direct-injected 2.4 Liter 4 Cylinder that offers 185hp while connected to an innovative CVT with sport mode reward you with natural passing authority. 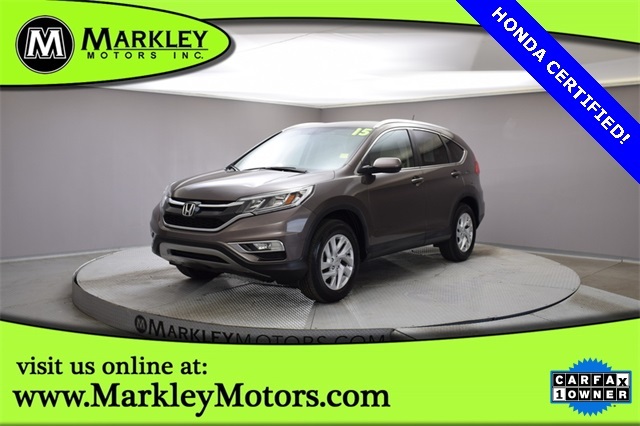 This sure-footed All Wheel Drive CR-V is the ideal balance of size and capability as it blends comfort and sport with thoughtful touches inside and out while offering near 34mph on the open road. The sculpted and sleek body lines of our EX-L are enhanced with LED running lights, 17-inch alloy wheels, and a sunroof. The sophisticated styling of the EX-L interior was built with your busy lifestyle in mind. Enjoy a high-resolution touchscreen, HondaLink, Bluetooth, SMS Text message function, a great audio system with a sub-woofer and Pandora compatibility. An illuminated steering wheel with cruise, audio, phone and i-MID controls keeps power at your fingertips. 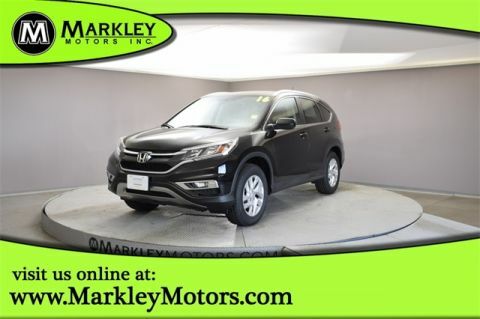 Of course, with comfortable leather-trimmed heated seats, massive cargo space and 60/40 split rear seats the CR-V can handle your family and everything they need for their many adventures! 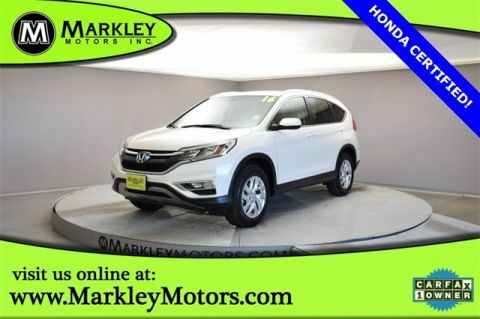 Masterfully built by Honda with advanced capability engineering, a rear camera, Honda LaneWatch, vehicle stability assist with traction control, excellent outward visibility, and an army of airbags, this CR-V is unparalleled in safety. Get behind the wheel and begin your newest adventure today! Print this page and call us Now... We Know You Will Enjoy Your Test Drive Towards Ownership! We Value You As A Customer And Look Forward To Showing You What The MARKLEY DIFFERENCE Is All About. We've Been In Business For 82 Years For A Reason! Call Us Now At MARKLEY MOTORS At 1-970-226-2213. USED VEHICLES MAY BE SUBJECT TO UNREPAIRED MANUFACTURER RECALLS. PLEASE CONTACT THE MANUFACTURER OR DEALER FOR THAT LINE MAKE FOR RECALL ASSISTANCE/QUESTIONS OR CHECK THE NATIONAL HIGHWAY TRAFFIC SAFETY ADMINISTRATION WEBSITE FOR CURRENT RECALL INFORMAITON BEFORE PURCHASING.